Publisher's original colour illustrated card wrap covers. 8vo. 8½'' x 5½''. Contains 328 printed pages of Russian text. In Very Good clean condition. 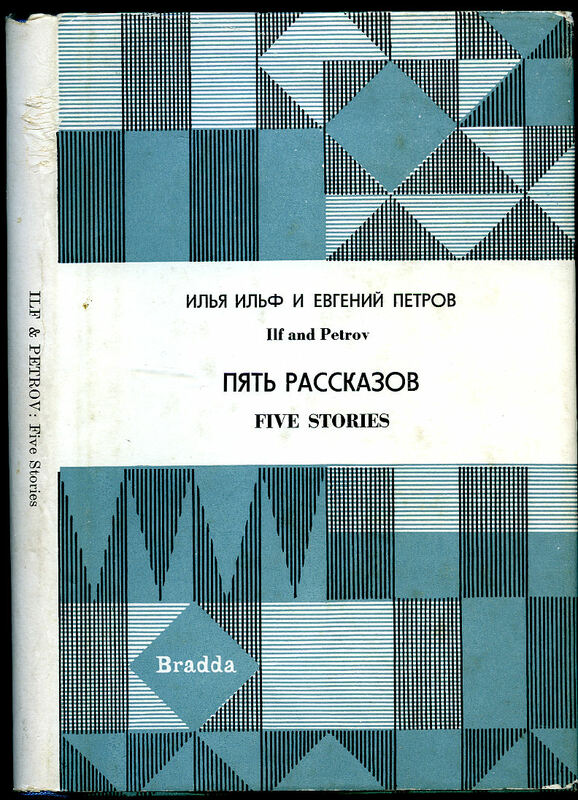 We currently hold in stock over 25 other classic Russian language titles. Member of the P.B.F.A. Published by The British Broadcasting Corporation 35 Marylebone High Street, London First Edition 1962. 1962. First edition hard back binding in publisher's original black cloth covers, gilt title lettering to the spine. 8vo. 9½'' x 6¼''. Contains [viii] 456 printed pages of text. Fine condition book in Very Good condition dust wrapper with two short closed tear to the front cover, not price clipped 25s. Dust wrapper supplied in archive acetate film protection, it does not adhere to the book or to the dust wrapper. Member of the P.B.F.A. Published by Constable and Co. Ltd., London 1914. 1914. Hard back publisher's original blind stamped dark green cloth covers, gilt stamping to spine. 6¾" x 5" 107 pp. Frontispiece. Light fading to spine and in Very Good condition, no dust wrapper. Member of the P.B.F.A. Hard back binding in publisher's original light blue cloth covers, black and silver title and author lettering to the spine and to the upper panel. 8vo. 8½'' x 5½''. Contains 447 printed pages of Russian text. In Very Good clean condition. 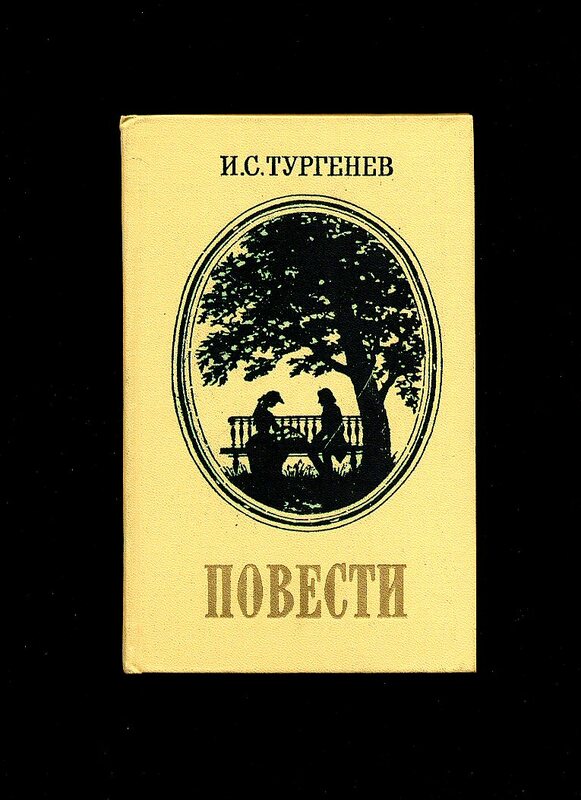 We currently hold in stock over 25 other classic Russian language titles. Member of the P.B.F.A. Hard back binding in publisher's original colour illustrated glazed boards. 8vo. 7'' x 5½''. 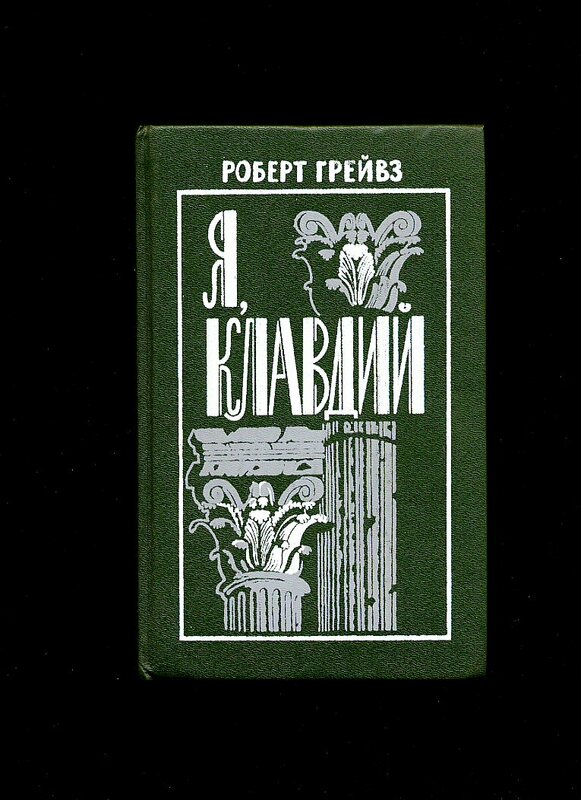 Contains 304 printed pages of Russian text with monochrome illustrations. In Very Good clean condition. 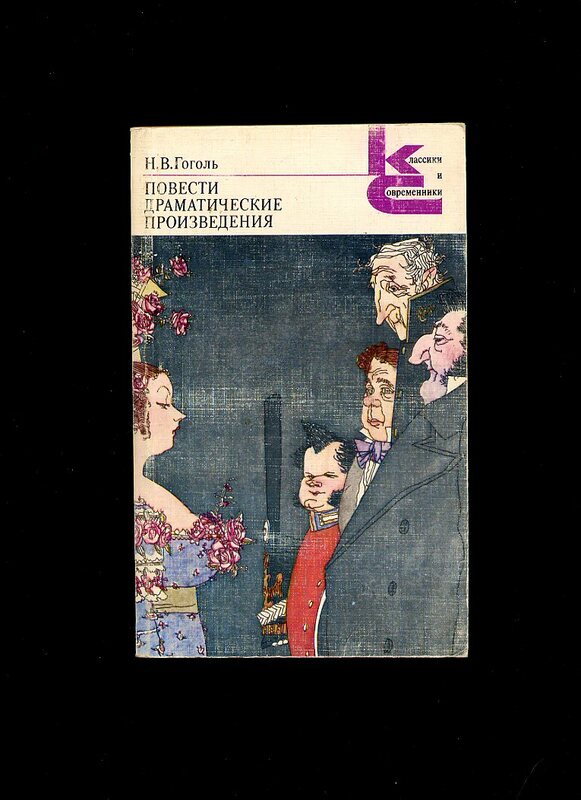 We currently hold in stock over 25 other classic Russian language titles. Member of the P.B.F.A. 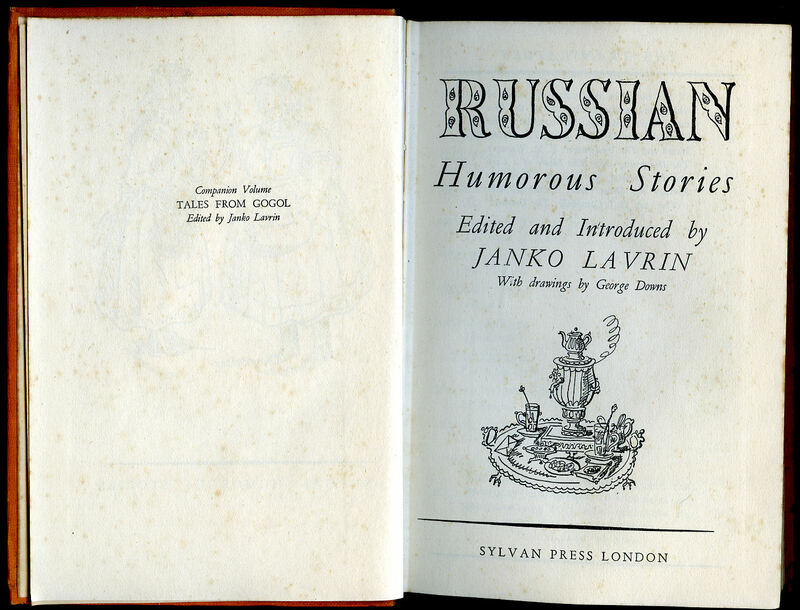 Lavrin, Janko [1887-1986] Edited and Introduced by [Drawings by George Downs]. Published by Sylvan Press Ltd., 24 Museum Street, London First Thus Edition 1946. 1946. First edition hard back binding in publisher's original orange cloth covers, gilt title lettering to the spine, humorous gilt motif to the front cover. 8vo. 7½'' x 5¼''. Contains 208 printed pages of text with monochrome illustrations. Foxing to the page edges and end papers and in Good condition, no dust wrapper. Member of the P.B.F.A. Published by Bradda Books Ltd., Letchworth, Hertfordshire First Edition 1965. 1965. First edition hard back binding in publisher's original paper covered boards, black title and author lettering to the blue cloth spine. 8vo. 7½'' x 5¼''. 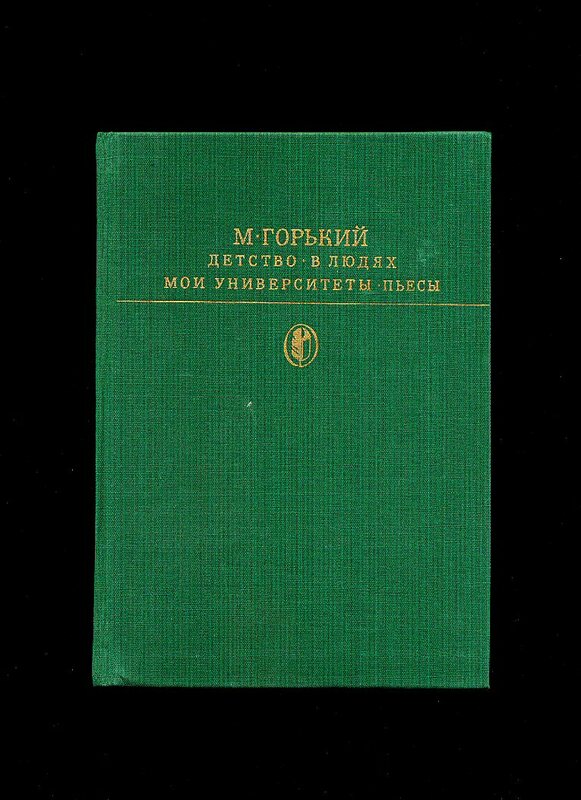 Contains photographic frontispiece., 116 printed pages of Russian and English text with monochrome illustrations throughout. Near Fine condition book in Very Good condition dust wrapper with minor rubs. Dust wrapper supplied in archive acetate film protection. Member of the P.B.F.A. 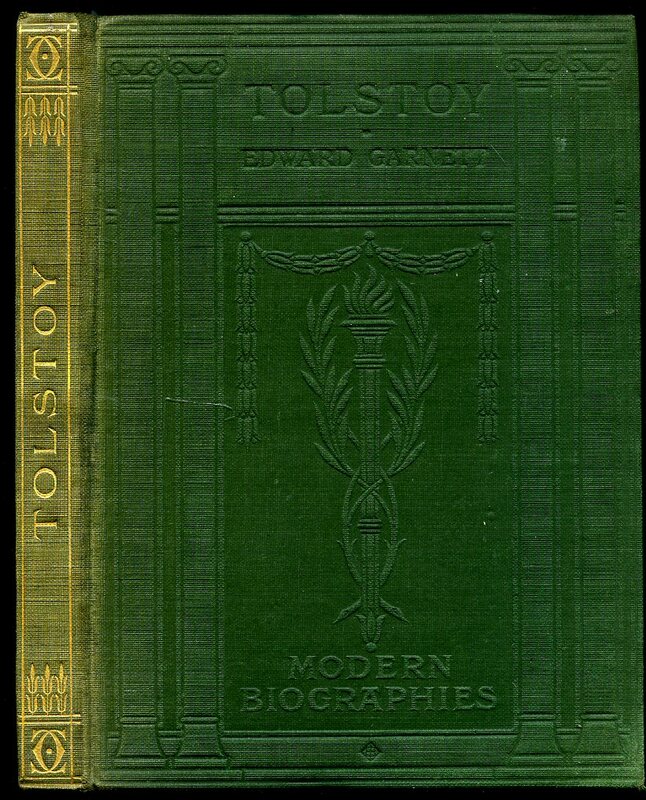 Hard back binding in publisher's original green cloth covers, gilt title and author lettering to the spine and to the upper panel. 8vo. 8½'' x 5½''. 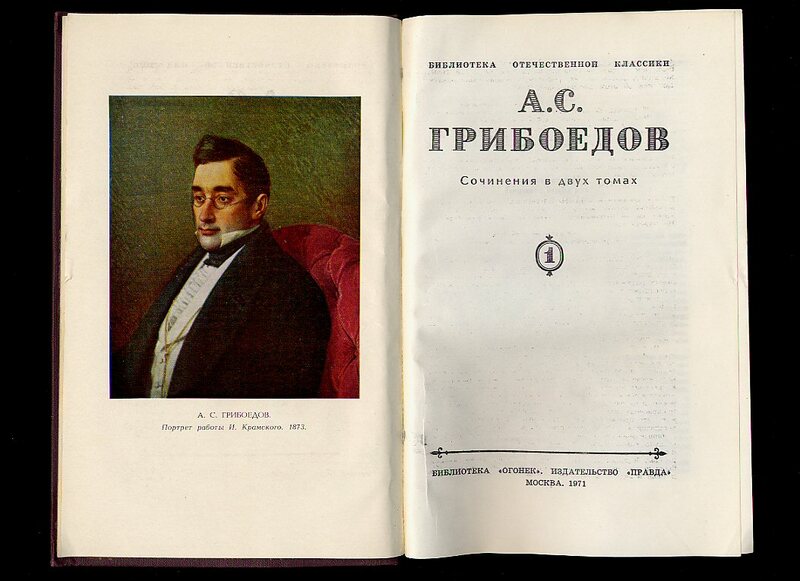 Contains 700 printed pages of Russian text with colour plates and monochrome illustrations throughout. In Very Good clean condition. 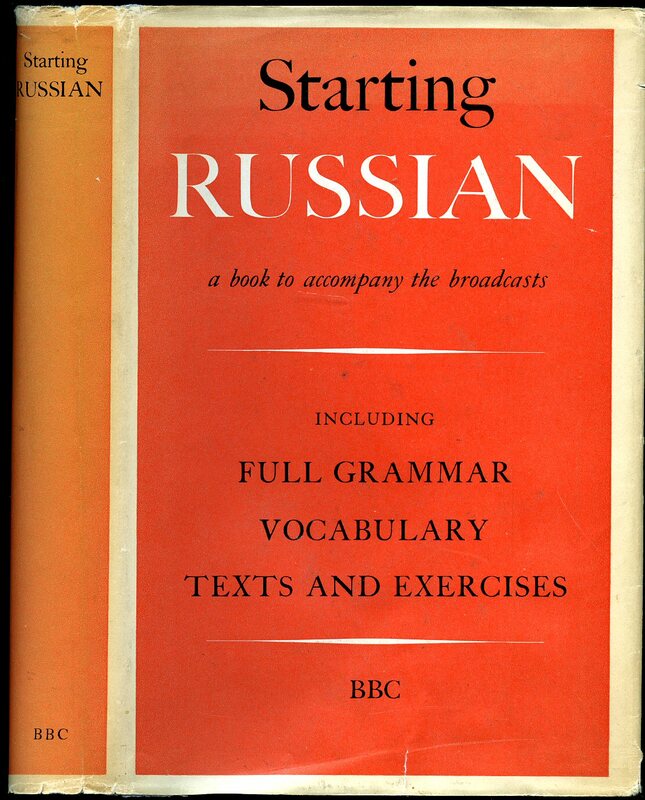 We currently hold in stock over 25 other classic Russian language titles. Member of the P.B.F.A. Hard back binding in publisher's original green cream illustrated cloth covers, black title and author lettering to the spine and to the upper panel. 8vo. 8½'' x 5½''. 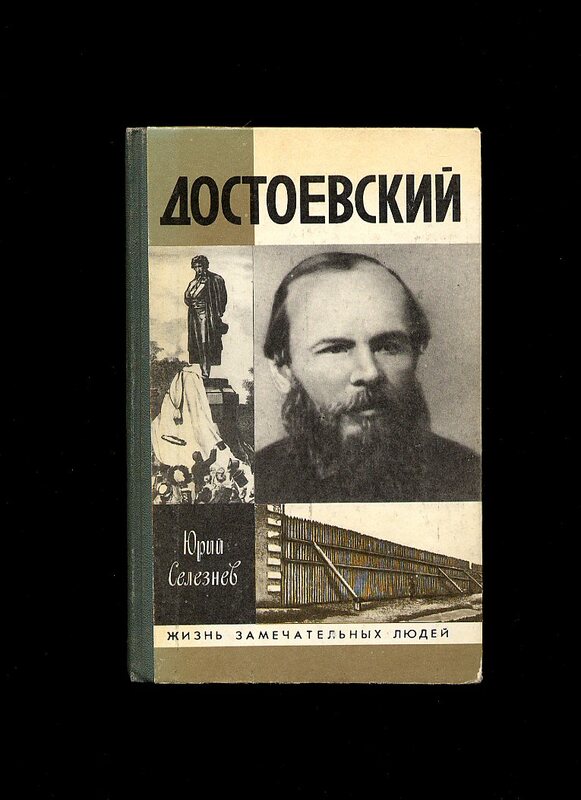 Contains 286 printed pages of Russian text with full-page monochrome illustrations throughout. In Very Good clean condition. 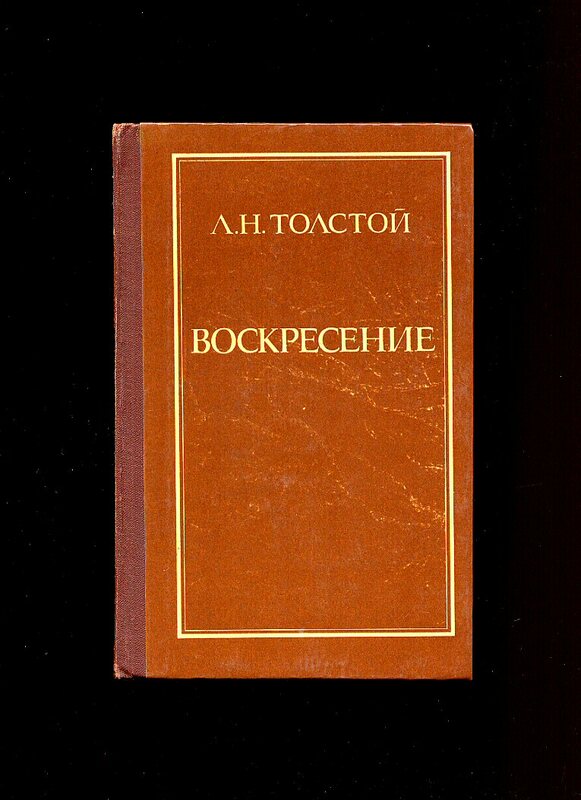 We currently hold in stock over 25 other classic Russian language titles. Member of the P.B.F.A. Published by Rodale Press 123 New Bond Street, London First Thus Edition 1955. 1955. 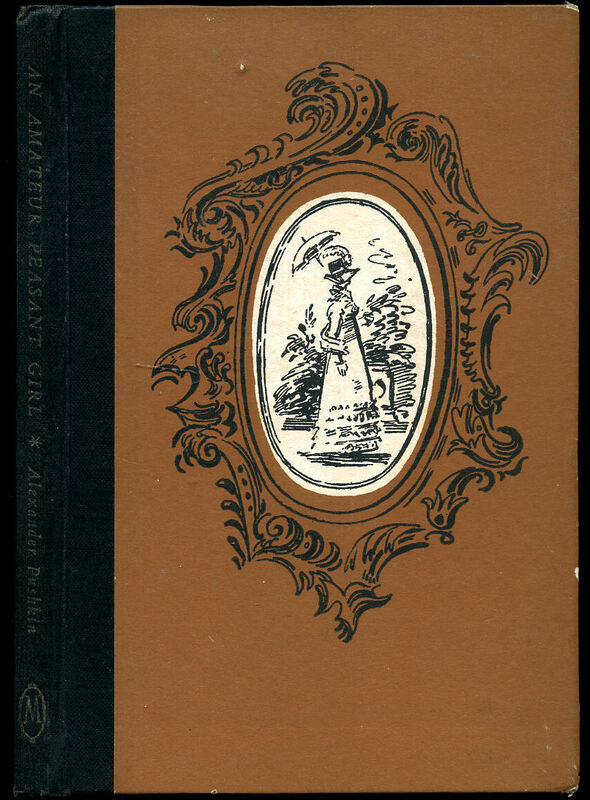 First edition hard back binding in publisher's original illustrated caramel paper covered boards, gilt title and author lettering to the black cloth spine. 8vo. 7½'' x 5¼''. Contains 43 printed pages of text with colour illustrations throughout. In Very Good clean condition, no dust wrapper. Member of the P.B.F.A. Uniform matching hard back binding in publisher's original deep burgundy cloth covers, gilt title lettering and volume number to the spines and to the upper panels. 8vo. 8½'' x 5½''. 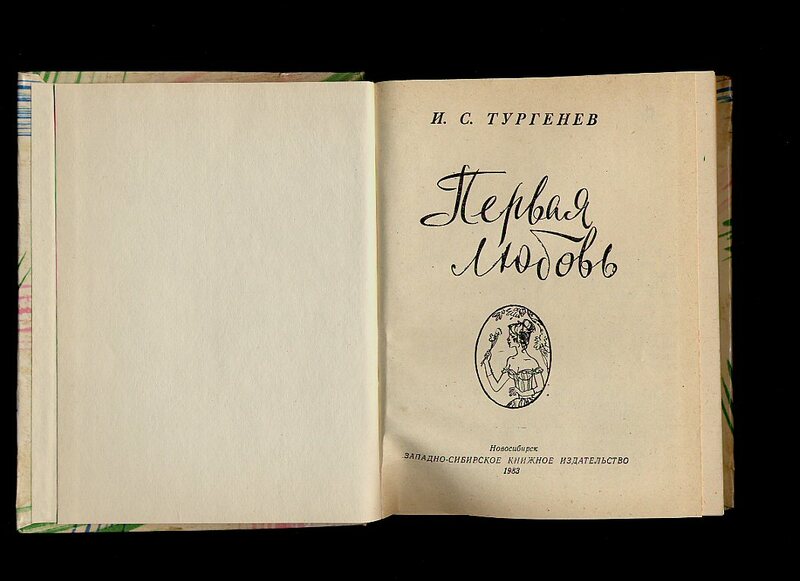 Contains 384; 368 printed pages of Russian text with colour frontispiece engraving to volume I. In Very Good clean condition. 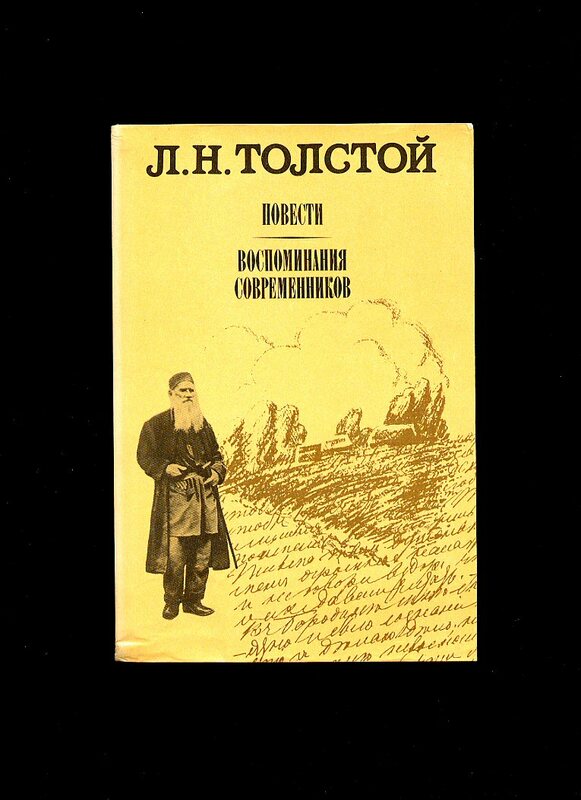 We currently hold in stock over 25 other classic Russian language titles. Member of the P.B.F.A. Hard back binding in publisher's original toffee covers, cream title and author lettering to the spine and to the upper panel. 8vo. 8½'' x 5½''. Contains 456 printed pages of Russian text. In Very Good clean condition. 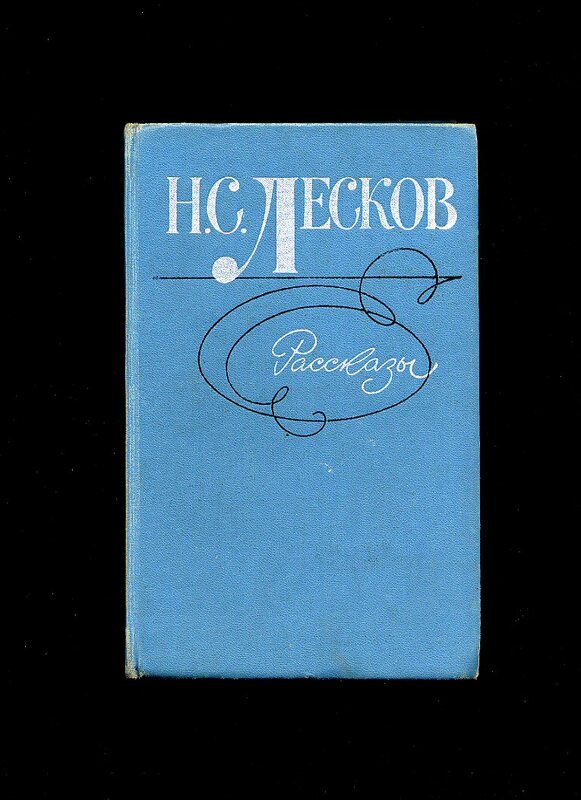 We currently hold in stock over 25 other classic Russian language titles. Member of the P.B.F.A.